Reza, the Iranian photographer, once described photography as “a universal language… photography is like painting, a work of art. There are aesthetic rules to respect” (The Paris Globalist, June 2009). Photography is both art and reportage. It has become the number one media through its ubiquity and popularity. The digital age has also changed the landscape; thanks to social media and the quality of digital cameras anyone can now pretend to be a photographer and exhibit their work. However the gap between the amateur and the professional remains as deep as ever. In a fast moving world, with constant technological innovations, photography is a tool that bears witness to the changes in our societies. British-trained photographer Laura Mate tries to capture these changes brought about by our thirst for modernity. Her eye focuses on details, small things that show the passing of time. One of her most striking experiences was living in China from 2004-2007; a time when the country was developing at a dizzying rate. Alongside her freelance work for Elle Magazine and Rolling Stone, she worked to develop a project which aimed to depict the experiences of Chinese women in the 21st century. This prompted a colourful and lively book – Half the Sky, a book which dedicates each double page to a Chinese woman. These women are all fascinating: from the rock singer-radio show host to the employee in a cake shop, from the model to the head-hunter, they all have one thing in common: they left the provinces to make it big in Beijing, whatever their or their family’s dreams. 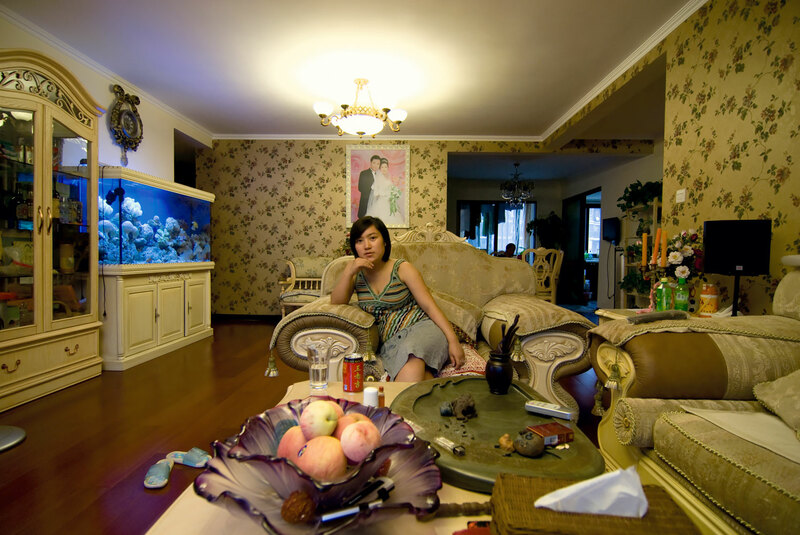 The portraits reveal a microcosm of Chinese society. The stories are fascinating, from the waitress to the suited and booted business woman, their diversity makes this book compelling. In these 136 pages lies a snapshot of modern China that reaches out to shatter our western stereotypes. The collection of photographs is prefaced by an extraordinary map which shows how far young women are prepared to travel to seek their fortune in the capital. 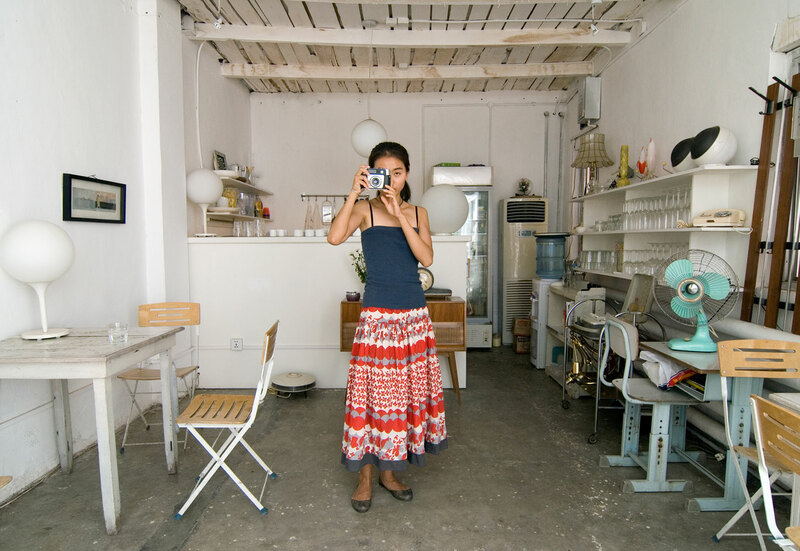 NLP was curious to know more about this multi-talented photographer and caught up with Mate in Paris to discuss her work. When did your fascination with photography begin? I guess my fascination with photographs and taking pictures grew from childhood. Looking back, I was the kid always digging through the family albums and boxes of prints. I would study the faces, their expressions, the places, colours, clothes worn and recall memories of birthday parties, travels and family events. The pleasure derived from this fuelled me to shoot my own little memories, recording the people I love, treasures I found in the back garden or a trip to the seaside. Photography was a means to express myself and a way to protect, preserve and share the beauty I found in the world around me. My work today, although perhaps with a more defined style, echoes those same principles which absorbed me as a youth. What does the title Half the Sky mean? Mao Tse-Tung famously and frequently announced the words ban bian tian, which means “(women hold up) half the sky”. This was at the time of the industrial revolution when of course women were needed to work alongside men, and this refrain of propaganda was in the end a good thing for women. Finally, they had right to a formal education and were at liberty to seek work in the same ways as men. Fast-forward some 60 years to my arrival in Beijing, in 2005, where I discovered that one of China’s wealthiest entrepreneurs is a female, Zhang Yin, who is rumoured to be the richest self-made woman in the world. I was intrigued and content to hear that girls were brought up on absolutely equal terms to boys and told they were equally important to society. The double salary brought home by both parents remains a priority and the job of the grandparents is to raise the child. 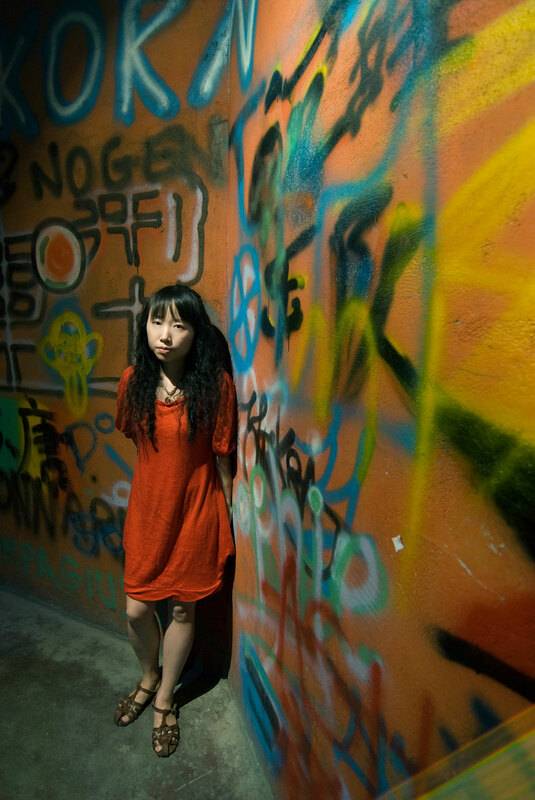 How did your recent project 21st Century China Girl come about ? I was born 1979, the same year that the former Communist leader Deng Xiaoping introduced the compulsory one-child family planning policy. This generation of children was raised without sibling rivalry, undivided attention from their parents and grandparents, and of course a great deal of pressure to achieve. I lived with three Chinese girls and worked alongside many others. I was blown away by their creativity and their driven ambition. It seemed to me young women were firmly grasping the reins of ‘The new China’ and hence my excitement on the subject. Beijing was like a small bud opening very fast, there was a wave of change that swept everyone up. Working as a photographer I began to meet many women working in the creative fields, photographers, artists, clothes designers, musicians, illustrators… Unheard of careers and new work opportunities were arising from this demand for modernity and high living standards, turning Chinese traditional ideas for industry and lifestyle upside down. This independent, daring and fresh generation (18-30) revelled in a new kind of freedom, with disposable incomes, careers, less pressure to marry young and constant dreams of their futures. They are finally living the lives that their mothers could only imagine. 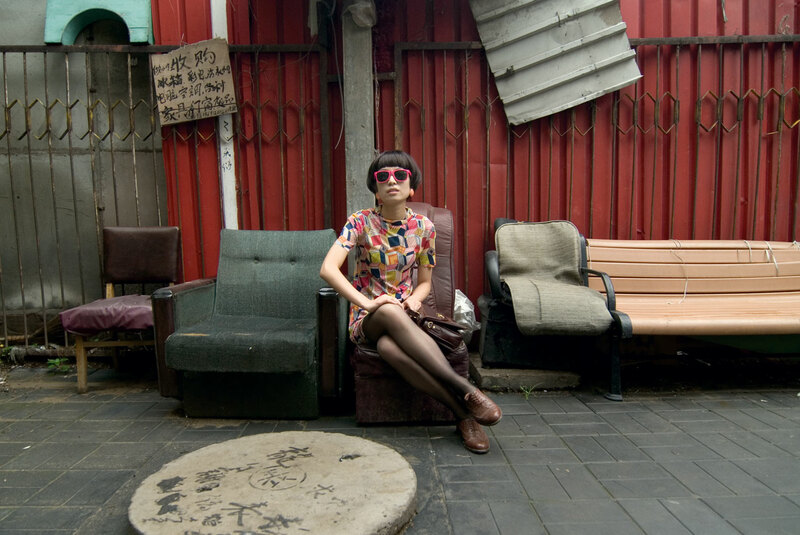 I returned to Beijing in August 2009, and in a whirlwind completed the photographs and interviews (60 women in 25 days), working to the same pulse the city lived by. Life in Beijing was fast moving and so I decided appropriately my book should be. The women in the book hail from various socioeconomic backgrounds and diverse cultures, but all are linked by a common city and a common dream. China feels like a continent, and of course the diversity of cultures (more than fifty ethnic groups) required me to spend time with all these women, in this way I hoped I could represent a more accurate account of the modern day Chinese women. How did you get the idea to make your own book, and was it difficult to achieve? I had the concept for the book planned out in my head, but thought it would be more original if I collaborated along side another artist to produce the layout. I was introduced by a mutual friend to Jean-Jacques, a punk graphic designer based in Lille. He had already co-produced books and was keen to work with me on China Girl. I wanted the experience of making a book from the initial idea, to the arrival of big brown boxes packed tightly with shiny new books. The reality was that there were many complications, and far too much work for the time-frame I’d given it, but, several months later, I was ecstatic as my big brown boxes arrived at the door. I’m based in Paris, and have taken care of all the distribution myself. The book is currently for sale in various museums and Art book shops (Pompidou centre, Palais de Tokyo, Jeu de Paume…). Now I have accomplished the project, I’m keen to make a second version with a more stylized sober, layout and give my book the chance to be distributed in the UK. Currently I’m in the middle of a project on recording Parisian postcodes. I had a commission to produce a piece of art for a client’s wall after being given carte blanche. I wanted to use my familiarity with Paris as a canvas for the project, but also I wanted to keep it modern and fresh. I began walking the streets and shooting the façades that most interested me whether they would be shop fronts, a typical tabac or a wall of graffiti. My conclusion was to make my own fictional street and now I’m working on ten of my favourite postcodes for an upcoming exhibition. To see more of Laura Mate’s work, click here.